It’s FAT TUESDAY or MARDI GRAS, where people live it up one last time before strict rituals of fasting during the Lenten season. This year, Stephen says he is to eliminate white sugar and bread, which he says means he can still eat corn tortillas. Let’s see how that one lasts. 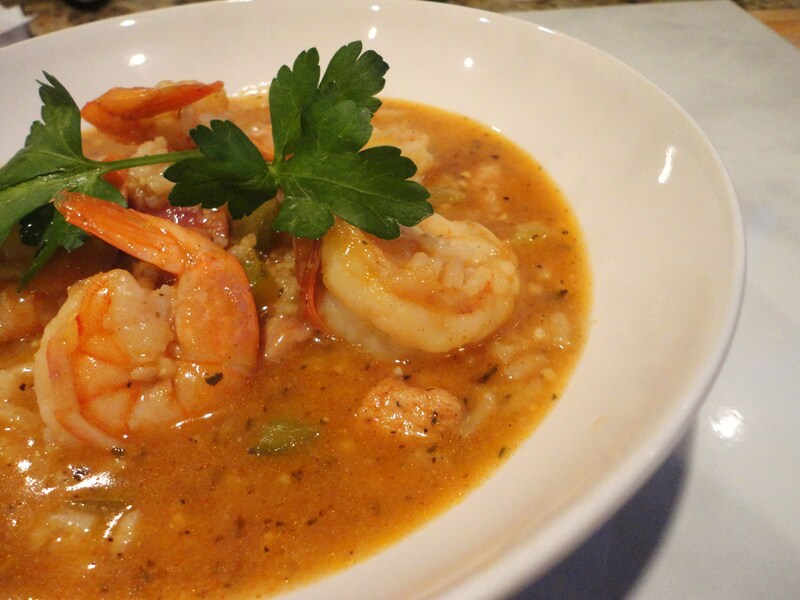 We have two great recipes to share with you for Fat Tuesday, a Creole jambalaya and a traditional Brazilian Caipirinha. Mardi gras comes the French, “mardi” = Tuesday (similar to ‘martes’ in Spanish) and ‘gras’ = fat. Refers to the day of merrymaking before the Lenten season. For our menu, we combined a bit of New Orleans spice with Brazilian merriment, making a Creole Jambalaya and serving it with a drink called Caipirinha. 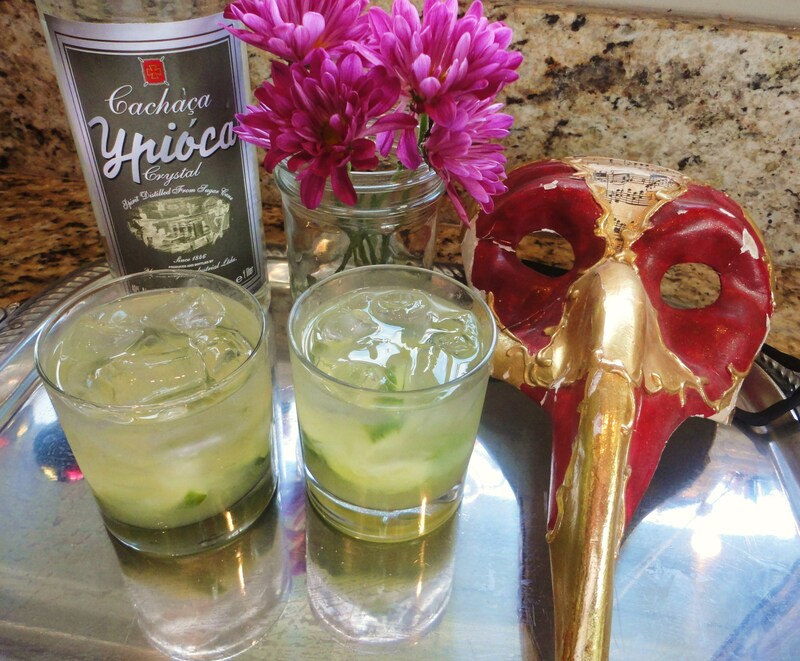 The recipe follows for a classic Caipirinha made with Cachaca (pronounced ka-sha-sa), which is a clear sugar cane spirit from Brazil. We found our Cachaca bottle at BevMo in the rum aisle (about $18) as we learned our local grocery stores did not carry it. Take a look at the proportions and be forewarned. Enjoy a couple of Caipirinhas and you’ll be sporting a feathered thong around the house in no time. This was the first serving and I got a lot of liquid from the pot. The rest of the servings should not be so juicy. But with a good piece of French bread, you might not mind as it is a delicious broth to sop up. After you add the rice give the pot a good stir and then bring to a boil. Add the shrimp, chicken, and sausage the last 10 minutes of cooking. In a large bowl, combine the shrimp, chicken and about half the Creole seasoning. Toss to coat and set aside. In a large pot, heat the oil over high heat. Quickly add the onions, bell peppers, and celery. Sauté for about 3-5 minutes, stirring occasionally. 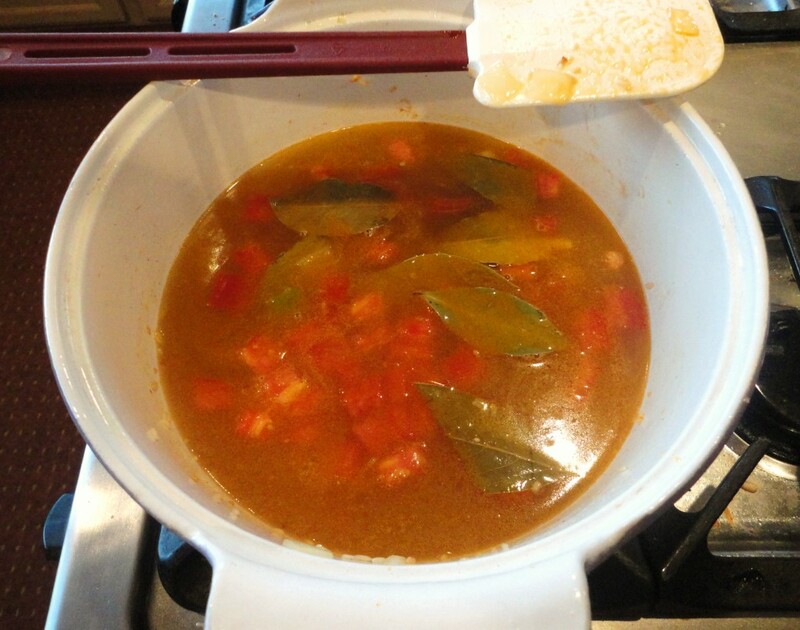 Add the tomatoes, garlic, bay leaves, Worcestershire, and hot sauce. Stir to combine. 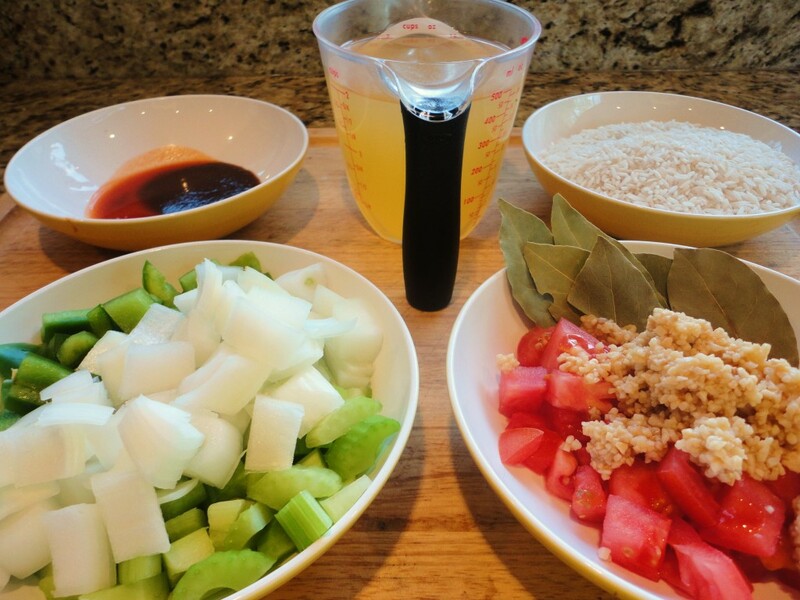 Add the rice and stock. Stir to combine. Bring to a boil and then reduce the heat to medium and allow to cook uncovered for another 10-15 minutes, or until the rice begins to get tender, stirring occasionally. 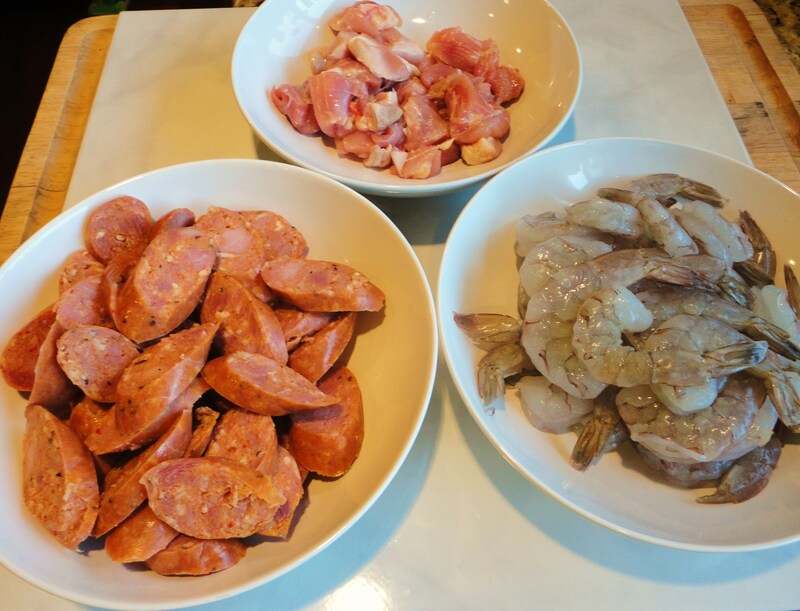 Add the chicken, shrimp, and sausage and cook for about 10 minutes, or until the chicken and shrimp are cooked though. Adjust seasoning with salt, pepper, and the Creole seasoning. Garnish with parsley. Serve in a bowl along with a piece of garlic bread. 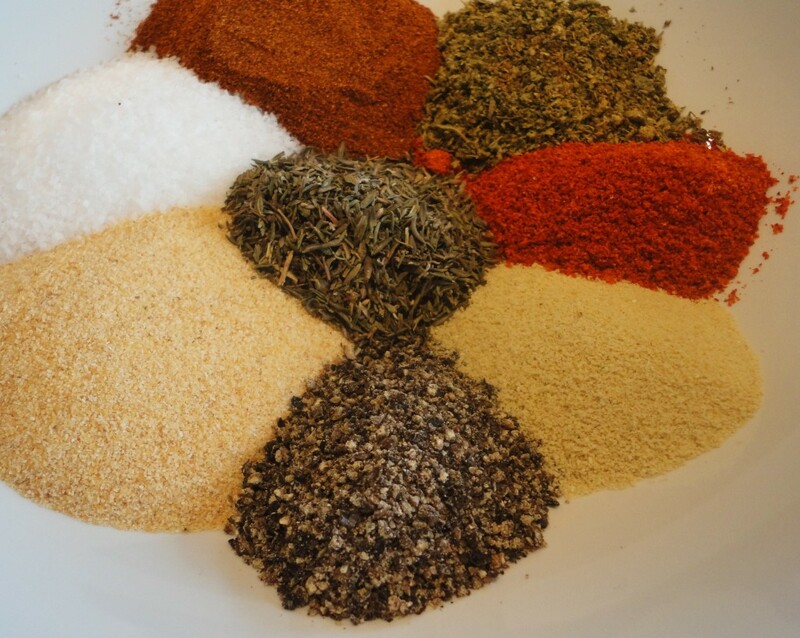 Combine all the spices together in a small bowl. Remember, you can store what you don’t use. Where can I get the sausage you mentioned? If I use a regular kilbasa sausage or italian will that be ok? Looks real yummy! It really would be nice to have some tonight since it is snowing! Before I forget, are you planning on making Irish Soda Bread for St. Patrick’s Day? I lost the one i had, and I’m looking for a great and simple recipe. Hi Norma, you can substitute Italian sausage if you cannot find Andouille in your neck of the woods. But if you can find Andouille I would definitely use it. The sausage has unique smoky and spicy flavors that make it stand apart from the other sausages you mentioned. 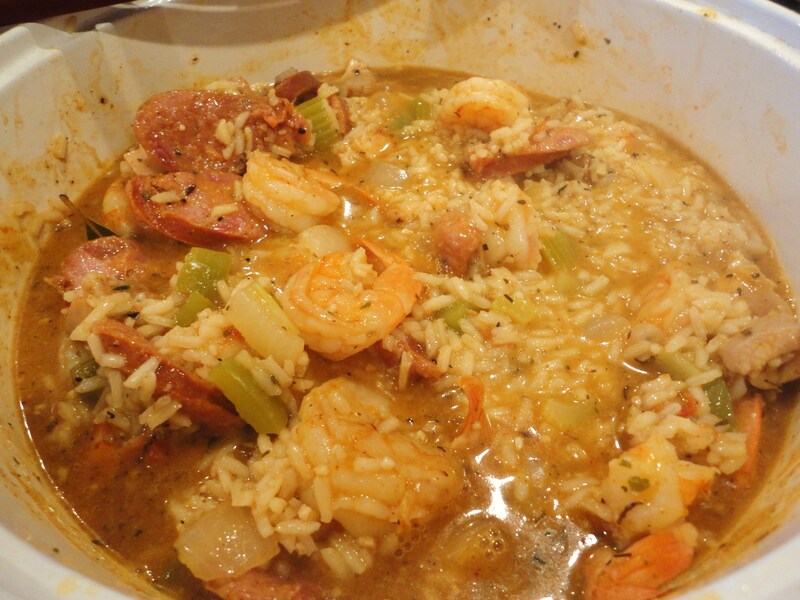 Plus, it’s been a Cajun staple ever since the French brought it over. Enjoy!